OLED displays use organic materials that emit light when electricity is applied. OLEDs enable emissive, bright, thin, flexible and efficient displays. OLEDs are replacing LCD displays in mobile devices and TVs. Samsung's Super-AMOLED displays, announced in January 2010, are AMOLED displays with an integrated touch function. In a Super AMOLED display, a touch-sensor is placed over the display (on-cell). The thickness of the touch sensor is just 0.001 mm and this allows the screen to provide better images and to have great visibility even in direct sunlight (Samsung says that they perform 20% better than regular touch AMOLED outdoors). In 2010 or so, achieving an HD resolution in a mobile phone was a great achievement, and Samsung used to market those displays as Super AMOLED HD or HD Super AMOLED display to make sure people know these are HD displays. Today, as most high-end mobile displays sport Full-HD (or even higher) resolutions, Samsung no longer adds the HD before or after the Super AMOLED. According to a new leaked document, Samsung is set to release a 'lite' version of its Galaxy Note 3 phone. 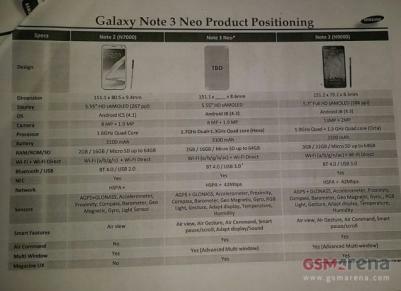 The so-called Galaxy Note 3 Neo will sport a 5.55" HD Super AMOLED display (seems similar to the Note 2 display). It seems that the phone will be like an update to the Galaxy Note 2 - with a faster CPU and an updated Android version (4.3). 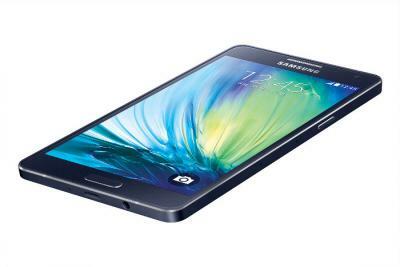 It will also sport a 8mp camera and the same memory configuration of the Note 2 (2GB RAM and 16GB storage). 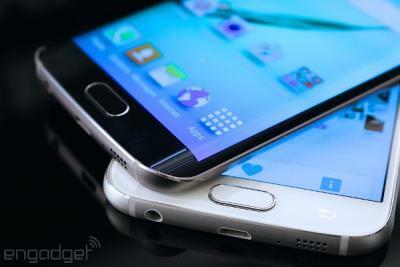 Do you have a Galaxy S4 or a Galaxy Note 3? Samsung just published a new Android application that targets those devices that have a Full-HD Super AMOLED display. 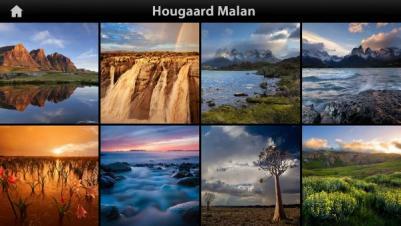 The application simply shows beautiful nature shots by renowned photographers (such as Ashley Vincent, Hougaard Malan, Kwon O Chul and Satoshi Kuribayashi) and also highlights how OLEDs produces accurate colors and a large color gamut. US carriers will start shipping the GS4 this week. AT&T will probably be the first one as they aim to start shipping on Tuesday (April 23). Most other carriers (including Sprint, T-Mobile and US Cellular) will ship a week layer (April 30). it will be very interesting to see the market's reaction to Samsung's new flagship phone. The GS4 features a 4.99" Full-HD (1920x1280, 441 PPI) Super AMOLED display, an Octacore 1.6Ghz Exynos CPU (some models use a Quadcore 1.9Ghaz Qualcomm CPU), 2GB of memory, 13 mp camera and a 2,600mAh battery - all this while being a smaller and lighter than the GS3. The GS4 includes a lot of new software features and special UI controls, include the Adapt Display which allows extensive display calibration adjustments. According to UK Carphone Warehouse, the GS4 is going to be very popular - in the first 3 days of offering pre-orders, there were 446% more pre-registrations than with the GS3 - the most popular Android phone ever. CW's COO says that the S4 "is the one to watch for 2013". The GS4 features a 4.99" Full-HD (1920x1280, 441 PPI) Super AMOLED display, an Octacore 1.6Ghz Exynos CPU (some models use a Quadcore 1.9Ghz Qualcomm CPU), 2GB of memory, 13 mp camera and a 2,600mAh battery - all this while being a smaller and lighter than the GS3. The GS4 includes a lot of new software features and special UI controls, include the Adapt Display which allows extensive display calibration adjustments. 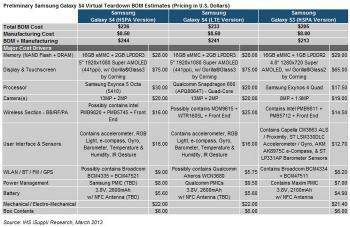 IHS iSuppi posted a "virtual teardown" for the upcoming Galaxy S4, saying that the bill of materials is about $236 (for the HSPA+ S4 with 16 gigabytes of NAND flash). According to iSuppli, the 5" Full-HD Super AMOLED display costs $75. As the 4.8" WXGA AMOLED on the S3 costs $65, this represents the largest cost increase for the S4 compared to its predecessor (The cost of making an S3 is estimated at $208). The cost of the AMOLED display is over 30% of the cost of the entire S4. Other expensive components on the HSPA+ S4: the Exynos 5 processor at $30, memory (NAND + Flash) at $28, the two cameras at $20, the UI and sensor subsystem at $16 and the HSPA+ chip at $16. You can see the complete list on the table above, which includes also the S4 LTE and S3 Built-Of-Materials (BOM) estimates. Samsung unveiled their new flagship smartphone, the Galaxy S4. As expected, it sports a 4.99" Full-HD (1920x1080, 441 PPI) Super AMOLED display behind a Corning Gorilla Glass 3. This phone will launch towards the end of April worldwide (on 327 carriers in 155 countries). The S4 seems to be more of an upgrade to the S3 than a revolutionary new handset. According to previous reports, Samsung Display started producing these 5" Full-HD AMOLED panels in February at a rate of 3 million units per moth (this will grow to almost 10 million monthly units in coming months). The S3 is Samsung's best selling and fastest selling smartphone, and obviously the company hopes that the S4 will sell even better. Will the Galaxy Note 3 feature a 5.9" AMOLED display? 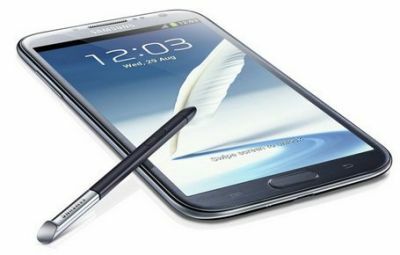 Samsung launched the Note II phone/tablet in November 2012, and already rumors are starting to circulate about a successor. According to the Korea Times, the Note 3 will sport a 5.9" AMOLED display - larger than the 5.5" one used on in the Note 2 (HD Super AMOLED 1280x720, non-Pentile). The Note II display uses an RGB matrix in a unique arrangement with a pixel density of 267 PPI. It's highly likely that the Note 3 display will offer Full-HD resolution. Back in November 2012 Samsung announced that they sold over 5 million Galaxy Note II phones worldwide in less than 3 months, and now we hear that the company sold over one million Note II phones in South Korea alone. Samsung is on track to sell 10 million units by the end of Q1 2013, just four or five months since launching the phone in September 2012. This is a great success for Samsung. The Note II has a 5.5" HD Super AMOLED display (1280x720, non-Pentile), a quad-core 1.6Ghz processor and a large 3,100mAh battery. It's only 9.4mm thick. It's available for AT&T ($250), and also unlocked in the US for $775 (international version). Samsung announced that they sold over 5 million Galaxy Note II phones. In the beginning of November they announced 3 million units sold - so it means they sold 2 million in less than a month. The Note II has a 5.5" HD Super AMOLED display (1280x720, non-Pentile), a quad-core 1.6Ghz processor and a large 3,100mAh battery. It's only 9.4mm thick. The Note 2 started shipping in September 2012. It's available for AT&T ($250), and also unlocked in the US for $775 (international version). Samsung announced it has sold over 30 million Galaxy S3 phones. The S3 is probably Samsung's best selling smartphone ever (in June Samsung said it sold over 28 million S2 phones, so it's probably close - but the S3 will surely overtake the S2 in sales if it didn't already). Samsung's Galaxy S3 has a 4.8" 1280x720 HD Super AMOLED (306 PPI, with Pentile), a quad-core 1.4Ghz CPU (dual-core 1.5Ghz in the US models), 1GB of RAM (2GB in the US models) and an 8 mp camera (1080p video). The phone weighs 133 grams and is only 8.6 mm thick. In the US it costs around $150 with a contract and is being offered by AT&T, Verizon and Sprint. You can also get it unlocked for $799.